Travel to the top of Europe and admire the soaring peaks of the Swiss Alps on this 9.5-hour Jungfraujoch day trip from Lucerne. Take a scenic drive through high mountain passes to picturesque Lauterbrunnen with your guide. Board the cogwheel train and travel up to Kleine Scheidegg, beneath the famous Eiger North Face. Alight at the UNESCO World Heritage site of Jungfraujoch — Europe's highest railway station at a dizzying 11,333 feet (3,454 meters). Explore the Ice Palace and enjoy panoramic views over the mighty Aletsch Glacier from the observation terrace. 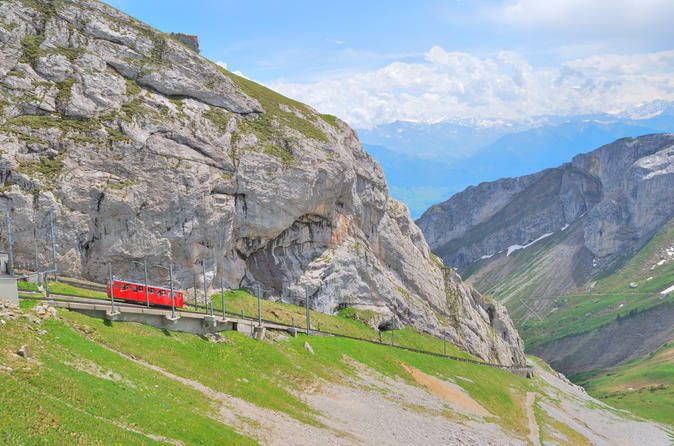 Enjoy a day of Alpine adventure in Switzerland on this half-day, summer trip to Mt Pilatus from Lucerne. Begin your journey toward the skies with a 30-minute panoramic gondola ride to Fräkmüntegg, and then hop aboard the aerial cableway for your ascent to the summit of Mt Pilatus. Relax at your leisure on the peak or take a short hike to make the most of the stunning scenery below. Descend to Alpnachstad aboard the world's steepest cogwheel train and cruise out onto Lake Lucerne to admire the views from the water. Discover Lucerne’s top sights and hidden gems with a local guide on an easy 2-hour morning walking tour. Visit the famous Chapel Bridge (Kapellbrücke), historical Jesuit Church and the impressive Culture and Congress Centre, and wander intimate alleys and town squares while gaining insight into Lucerne’s history and culture from an expert guide. Embark on a summertime adventure of gorges and glaciers on this full-day guided tour to the Swiss Alps from Lucerne. Venture over several mountain passes by comfortable minivan, look down at the dizzying depths of the Aare Gorge, see the mesmerizing ice tunnels of the Rhone Glacier and explore the wild landscapes of the Bernese Oberland! Enjoy the sights of the Swiss Alps on a small-group day trip limited to 16 people, ensuring a more personalized experience. 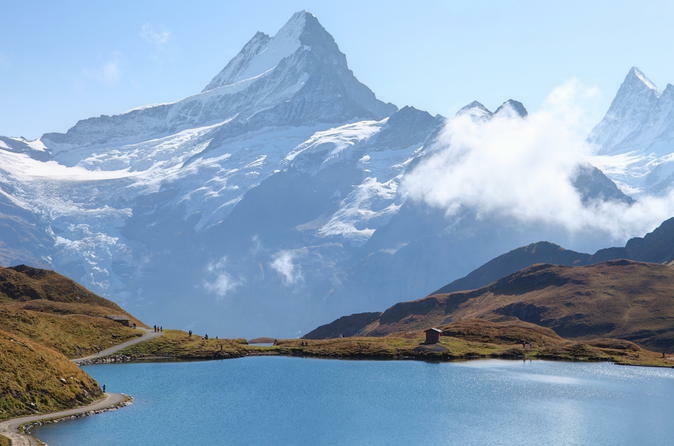 Spend a day in the breathtaking Alps on this day trip from Lucerne to the stunning UNESCO World Heritage-listed region of Jungfraujoch. 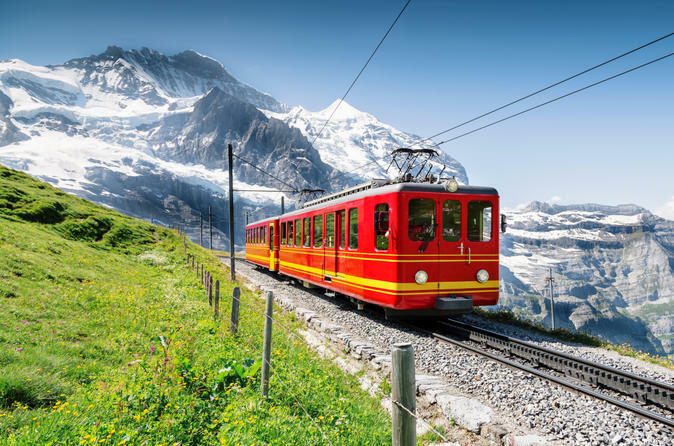 Travel by coach through the fairy-tale landscapes of the Bernese Oberland, stopping in Interlaken and then Grindelwald for a cogwheel train ride halfway up the mountain to Kleine Scheidegg. 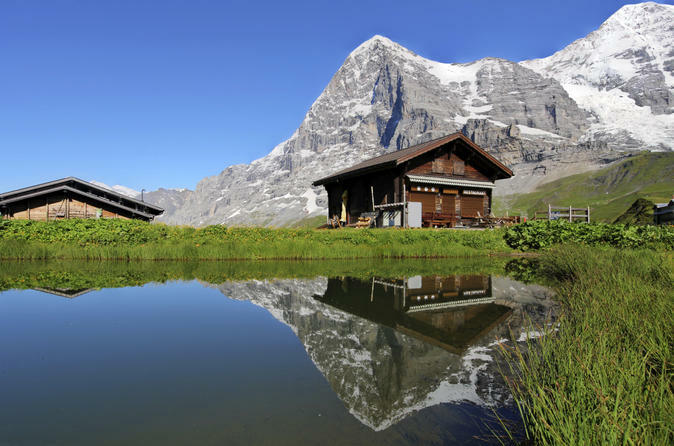 Enjoy free time to explore this high mountain pass and enjoy unbeatable views of the iconic Eiger North Face. 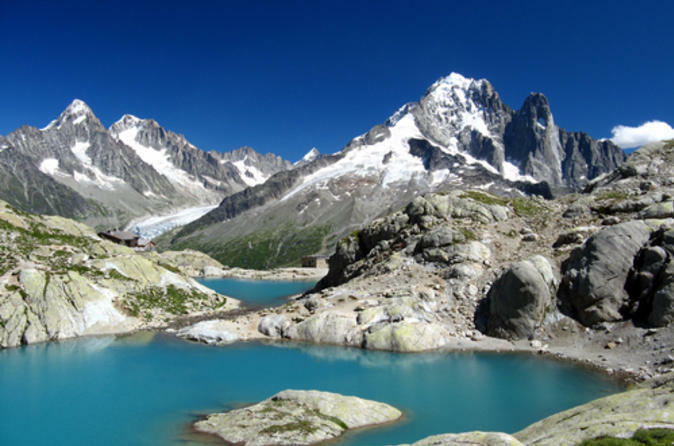 This tour is perfect for those who want fantastic Alpine panoramas without going all the way to the mountain's daunting summit of 11,750 feet (3,454 meters). Starting in Lucerne and ending in Zurich, experience the breathtaking Swiss Alps on this whirlwind 4-day adventure. 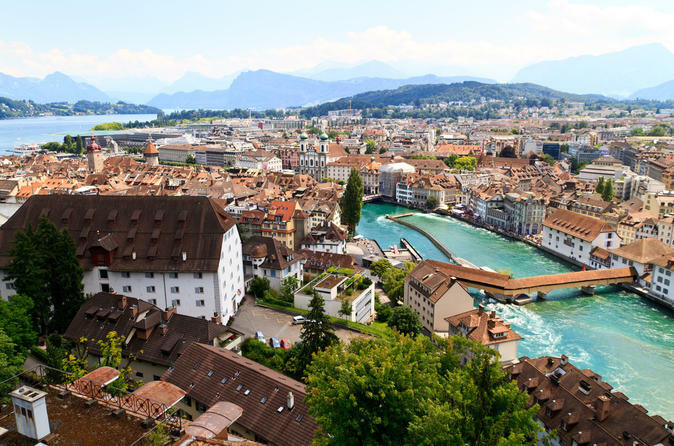 Explore the picturesque mountain towns of Interlaken and Zermatt, sightsee in urban Geneva and Bern, and relish the countryside scenery in Gruyères, birthplace of Gruyère cheese. Alpine views abound: ride a panoramic cable car to the snowy summit of Mt Titlis and admire Zermatt's iconic Matterhorn mountain, the inspiration behind the Disneyland theme ride. Enjoy a balance of guided tours with free time to explore independently. Transport and overnight accommodation also included. Spend a day around Lucerne and on Mount Pilatus with your private tour guide, just you and your guide! Enjoy a one-hour boat trip from Lucerne to Alpnachstad and then climb up to Mount Pilatus on the world's steepest cogwheel railway. Enjoy fantastic views over Lucerne, the lake and the surrounding Alpine mountain peaks. Relax on the summit terrace before beginning your return journey. 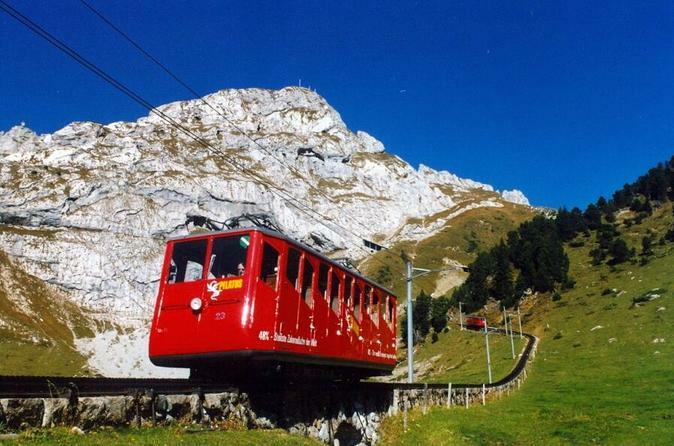 Descend by gondola on the north side of Mount Pilatus to Kriens and take a short bus ride back to Lucerne. Taste the famous Swiss chocolate and cheese on this private Lucerne city tour with a local guide. Visit the famous lions monument and the chapel bridge. 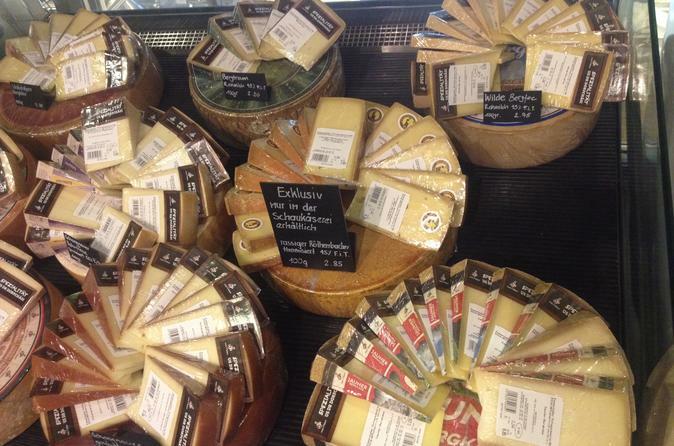 Try different Swiss cheeses in a local shop and pour your own chocolate as a sweet souvenir. This 2-day Alpine adventure takes you from Lucerne through Switzerland’s majestic Jungfrau region to Jungfraujoch, the Top of Europe. After a narrated coach ride through the scenic Bernese Oberland, enjoy free time and an overnight stay in the lovely Alpine town of Interlaken or Grindelwald, your choice. The next day, hop on the cogwheel train and ride up to Europe’s highest railway station at 11,333 feet (3,454 meters). The views amidst this winter wonderland are simply spectacular! Discover medieval Lucerne with your private guide on your Nightwatchman walking tour. Learn about the history of the Nightwatchman and see the illuminated attractions. 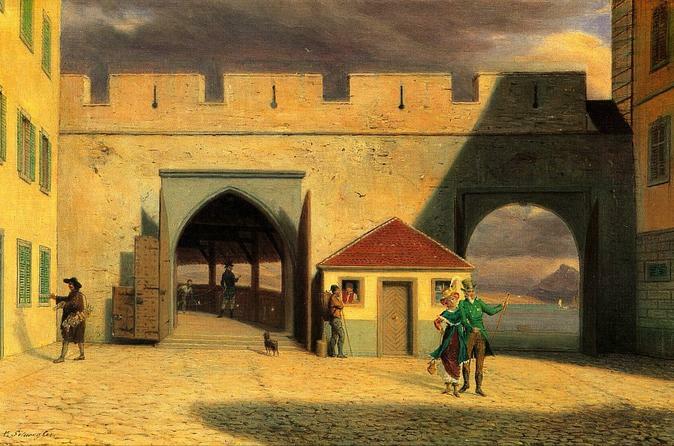 You'll be told about the Legend of the Riot of Lucerne and will hear about ghosts, demons and witches. 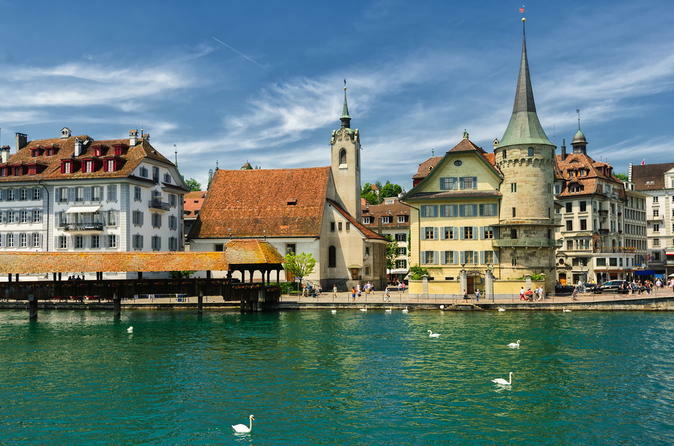 Imagine what it was like to live in Lucerne in the middle ages and get information about the law and order of that time. Your private Nightwatchman guide is dressed in medieval style and equipped with a traditional Swiss halberd. He will guide you through narrow streets and hidden places of the historic centre of Lucerne.